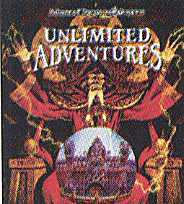 Forgotten Realms Unlimited Adventures (FRUA) is a construction kit for making your own Dungeons & Dragons Computer Role Playing Adventures. 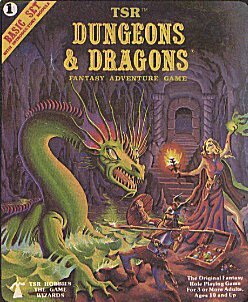 It is a commercial product put out by SSI, and the games you can create are very similar to their Gold Box Series of D&D computer games. A surprising number of people share their adventure creations on the Internet and AOL. The FRUA construction kit is required to play any of the adventures which people have created. These combat icons are modelled after characters in my own Dungeons & Dragons campaign. You may find some surprises when you see them. I've included a file called OSTIAN.TLB (Ostian is the world in which my D&D campaign is set). You need to make a backup of your CBODY.TLB file (perhaps call it cbodyorg.tlb) before you copy OSTIAN.TLB over CBODY.TLB, just in case you want to get your original combat icons back. This is all done in the /FRUA/DISK3 directory. I've included an index file in text format just so you'll know who some of these scoundrels are! I also have these combat icons in *.ICN format, if you want to import individual ones to your existing set, as well as in *.PCX Small Combat Icon format, in case you want to import them as Monsters or NPC's. Just ask! Not all of the available slots have been filled yet, but I plan on finishing them soon. DESERT BOUND Your characters are kidnapped and stranded in the cruel desert. You must find your way back home before all is lost. I thought of releasing a demo of the first level of this adventure, but I didn't want to spoil the fun. 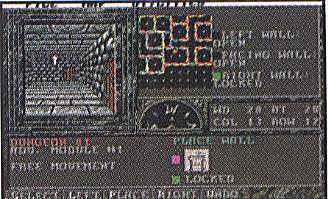 Castle Amber (based on Module X2) I would like somebody's help in designing segments of this adventure (perhaps the wilderness), for it will be a tremendous undertaking. This FRUA page was last updated on June 20th, 1997 at 12:15am.